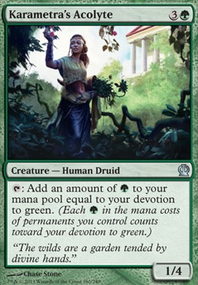 To what extent can you espond to Omnath floating mana? 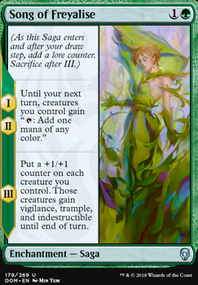 Does the ability of Sakiko, Mother of Summer increase, in a continuous way, the power and the toughness of Omnath, Locus of Mana? 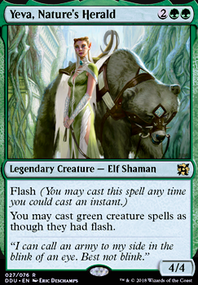 1x Medomai the Ageless - oooooohhhh this looks nice (never seen before) but people do panic so much when they see extra turn. It will accrue so much unnecessary hate. 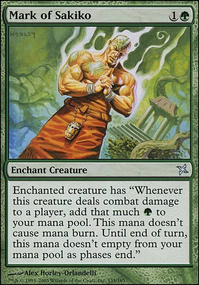 1x Mogis, God of Slaughter - nicknamed General Pain in our group is a great commander if you are not a fan of long drawn out games. 1x Rakdos, Lord of Riots - a deck I do want to make and am hugely interested by dropping free eldrazi and big creatures it sounds very fun. 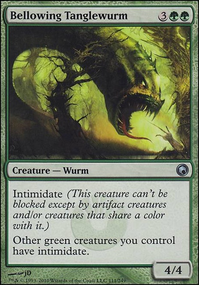 Omnath, Locus of Mana and Vorinclex, Voice of Hunger are really good cards for this deck. Hey Fam! Ive got 2 more decks for you. 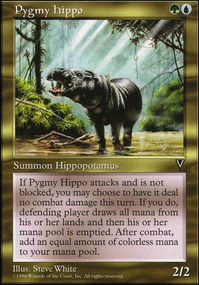 Once again, 1 is EDH and the other is modern. 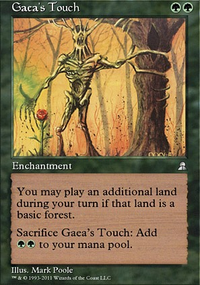 EDH: Artificial Intelligence will Kill Us All- This is an highly political EDH deck based on cycling artifacts through your graveyard and bringing them back at the right time. 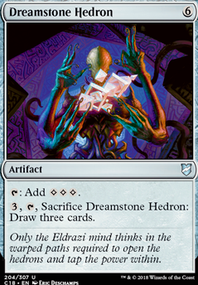 The entire base of this deck is that you always have an answer without looking like a threat. 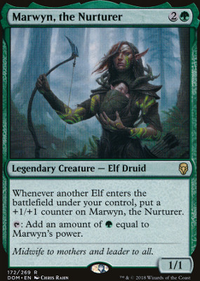 Modern: Wait, Aren't You Guys Supposed to be Extinct?- This is Naya Dinos. 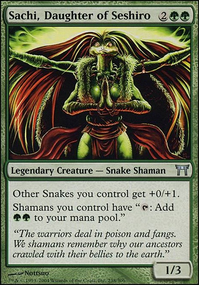 Shares some similarities to my Gruul Elementals(Gruul Elementals) deck that featrures Omnath, Locus of Mana and Leige of the Tangle. 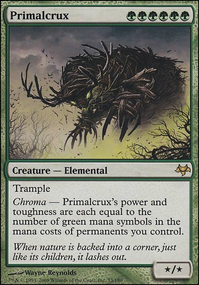 I also just realized that I never actually included a link to my prior modern deck, the one that hungry requested. In any case, here it is: Here you go, hungry000. You asked for it. 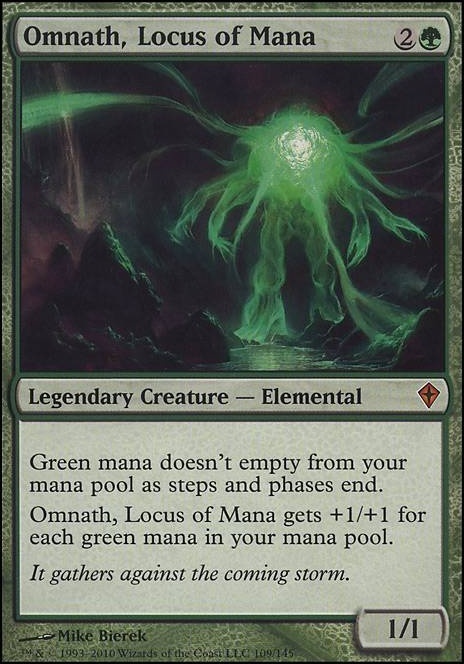 Love the deck, I doubt there is much I could suggest to improve it as you seem to have it down pretty good, but I will recomend Omnath, Locus of Mana as he works pretty good with the crazy mana that this deck can dish out and offers a potential one punch solution. If you do add Omnath that I would also add Rogue's Passage to make sure your fatties connect. 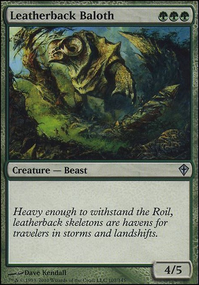 Maybe a card like Helm of the Host could be useful for making clones of your powerful legendary creatures and Omnath, Locus of Mana would be a good addition for stocking up on mana as long as you can protect him. 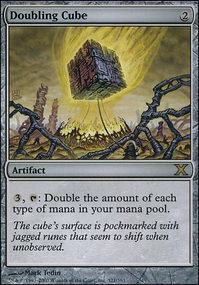 Then maybe a mana doubler like Zendikar Resurgent would be a good option. greyninja on Favorite Voltron Commander and why? Omnath, Locus of Mana is hilariously fun. 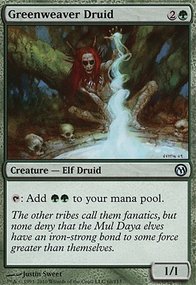 If you can turn one mana dork, turn two Omnath, you can swing for 5 turn three, another 10 turn four, then gg turn five. 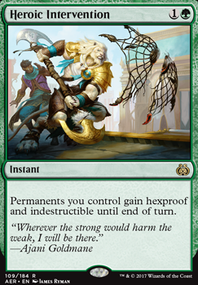 Not many voltron decks can close out games that fast. Voltron can be tough if they have answers to your threats, but that's also part of the challenge and part of the fun!